to read our documentation it could change the way your company does business. Moltex Sporting Goods Ltd was founded in 1989 to meet the market demand for Pakistan manufactured sporting goods. 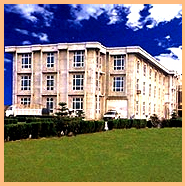 Moltex began as a Sialkot-Pakistan based manufacturing company. Starting in 1992, Moltex started its transition from a local manufacturer to a manufacturer and International exporting company. educated work force, developed environment, and high labor standards. -In 1995, Moltex set up its first factory in Sialkot, manufacturing inflatable balls bladders. -In 1997, Moltex built its second factory, producing inflatable sports balls. -in 2001, Moltex built its tired factory, producing Sportswear. with 300 employees and an annual output of 2 million balls and almost 100,000 Sportswear. Moltex’s investment in these new facilities marks another turning point for the company. These larger, more modern factories will usher in a new era of output, quality, and efficiency in production as well as consolidate the capital resources and management talent of the three operations. Moltex's has following Objectives. While trying to be as transparent as possible in our business dealings, there are certain facets of a company that must be kept confidential.We expect all employees to respect the confidentiality of such information both during and after their tenure at Moltex.We also are entrusted with confidential information from our customers and third parties. We strictly prohibit the unauthorized distribution or dissemination of this information by our employees. We look forward to serving you with all your Football/Soccer needs at any time. Copyrights © 2008 - 09 Moltex Sporting Goods (PVT) LTD. All rights reserved.